Many Shades of Black; Inside Britain's far-right. GREAT BRITAIN has undergone dramatic changes since the end of the Second World War. The country is virtually unrecognisable half a century later. Much of this was due to the loss of empire and the mass immigration of former colonial subjects to the ‘motherland’. 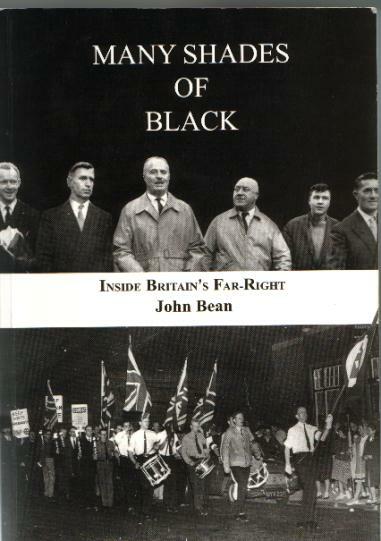 John Bean saw it all happening as he rose to prominence in Britain’s post-war nationalist movement. He had an Ulster-born granny, Catherine Martin from Derry. His childhood was happy, although he was always a bit mischievous, individualistic and anti-establishment. In a school mock election in 1942, he spoke in favour of the Communist Party candidate. Today, he muses that, in denouncing the sickness of modern capitalism, Marx’s diagnosis many have been right but he prescribed the wrong medicine. He first became politically active on his return home after service in the Royal Navy and some time which he spent working in post-independence India. In 1950, he joined the Lewisham branch of Sir Oswald Mosley’s post-war Union Movement. 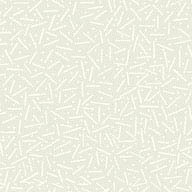 There he became an effective orator and street activist. At that time, Mosley impressed him as a man who had gone to prison for his political beliefs – quite a refreshing change from the usual run-of-the-mill do-anything-for-popularity politicians. Bean gives a fascinating insight into the life of Union Movement activists: the marches, street meetings, and confrontations with hecklers and fending off attacks from communists and the Zionist ‘43Group’ members. Naturally, such attacks were not all the one way and UM activists - usually described as ‘indignant local patriots’ - themselves disrupted red ‘peace’ meetings and attacked communist parades. The Movement fought very few elections, preferring for the most part to disrupt labour and communist election meetings. The Union Movement’s hierarchy sought publicity – any publicity – which it thought would make their name as the only organised political opposition to communism. In fact, this just gave it a reputation among the general public as a bunch of trouble-makers. This same error befell the National Front two decades later. Bean, however, realised that by such activities, the increase in apologia for Hitler and nit-picking articles in Union over casualties in World War II, that the Union Movement was going nowhere. He left in 1953. It was around this time that he first became aware of Andrew Fountaine, a colourful Norfolk landowner who had been sacked from the Tory party for being too rightwing. Thus began a friendship that lasted until Fountaine’s death in 1997. Fountaine went on to play a figurehead role with Bean in his National Labour Party and the first British National Party. He was later to become a prominent personality in the National Front. Bean published his own journals, Outrider and National Unity, for a time, but felt that he should work with some established group. He joined the League of Empire Loyalists, a respectable non-fascist campaigning group and was appointed the Northern organiser by its leader, A K Chesterton. The League of Empire Loyalists made its name in imaginative headline-grabbing stunts designed to highlight the Tory government’s policy of ‘scuttling’ the British Empire. It was in the League that Bean first met Colin Jordan and a youngster called John Tyndall. Jordan was the Midlands organiser of the League, but he also secretly ran the violent White Defence Force in Birmingham. Bean was later to regret his association with Jordan. In 1958, Bean, Tyndall and a number of other defected from the League to form the National Labour Party. They believed that the LEL largely ignored those who stood to lose most - working-class Britons. The NLP contested the 1959 local government elections in east London and the St Pancras constituency in the general election. He did a month in Brixton prison for his role in a fight with Labour Party members in St Pancras town hall. In 1960, the NLP and Jordan’s White Defence league merged to form the first British national Party. Bean was deputy national Organiser and editor of Combat. Jordan was the national organiser and Fountaine was the President. This, he admits now, was his biggest political mistake. Jordan’s barely hidden nazism became more open and damaging to he BNP’s reputation. Jordan and Tyndall formed Spearhead, ostensibly as a group of stewards for the party’s public events. In actuality it was an autonomous paramilitary wing. A row over this brought about a split in 1962. Bean and Fountaine expressed concern at the pro-nazi drift of the BNP under Jordan’s leadership. Jordan and the Spearhead members were expelled and the BNP began to democratise itself. Bean discovered a number of things that were later forgotten in the National Front and the present BNP. Extremists are difficult to rein in and it is virtually impossible to get rid of any past association with such people. Violence at public meetings was counter-productive. It drove many good people away from the party. When he realised this, he ‘opposed all coat-trailing meetings and marches in areas offering little support. The time and energy was better spent in building up branches where we had support.’ Any publicity gained gave the impression that the BNP or the NF were always the instigators of trouble. This problem still affects the loyal orders in Ulster today. Some fifteen years later, Martin Webster, the NF’s national Activities Organiser was to ignore Bean’s experienced advice. The British nationalist movement is still paying for this short-sightedness. As the BNP’s hooligan element left the party, it began to grow. Doorstep politics and a number of events and peaceful pickets in support of Ian Smith’s Rhodesia brought in new members and increasing support. The BNP, together with the league of Empire Loyalists and the Racial Preservation Society merged in 1967 to form the National Front. The BNP brought the greatest proportion of members to the new movement. Bean gives a marvelous inside view of the negotiations and tensions which brought about the merger. He also describes the jockeying for position by various individuals after the NF was founded. Those of us who were members of the NF in the 1970s and 1980s know only too well how true this was. I have lived through five splits in the movement myself in 1975, 1979, 1983, 1986 and 1989 and it was definitely very discouraging to ordinary members. No wonder so many of them dropped out!